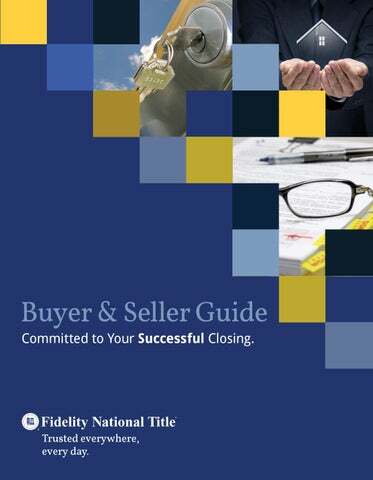 Buyer & Seller Guide Committed to Your Successful Closing. Other Parties, Taxes and Terms Buyer & Seller Guide to Title & Escrow Glossary, continued. Legal Description: The description of land based on government surveys that identifies exact boundaries of an entire parcel of land and recognized by law. Lien: A claim upon a piece of property for the payment or satisfaction of a debt or obligation. Listing Agent: The agent or broker in agreement with the property owner to sell the subject property and list the property in the Multiple Listing Service. Loan-To-Value Ratio: The relationship between the amount of the mortgage loan and the appraised value of the property expressed as a percentage. Mortgage: A conditioned pledge of property to a creditor as security for the payment of a debt. Multiple Listing Service: The database of properties listed for sale by Realtors® who are members of their local Association of Realtors®. Negative Amortization: Occurs when your monthly payments are not large enough to pay all the interest due on the loan. This unpaid interest is added to the unpaid balance of the loan. The danger of negative amortization is that the home buyer ends up owing more than the original amount of the loan. Personal Property: Any property which is not real property, e.g., money, savings accounts, appliances, cars, boats, etc. Points (also called “commission or discount” points”): Each point is equal to 1% of the loan amount (e.g., two points on a $100,000 mortgage would cost $2000). Power of Attorney: A written instrument in which a principal grants authority to a specified agent. Quitclaim Deed: A deed that serves as a release with the purpose of transferring any title, interest or claim held by the grantor. The Quitclaim Deed does not contain any warranty of valid interest or title by the grantor. Real Estate Agent: An individual licensed by the state to represent parties in the transfer of property. Realtor®: A real estate broker or an associate holding active membership in a local real estate board affiliated with the National Association of Realtors®. Every Realtor is a Real Estate Agent but not every Real Estate Agent necessarily maintains the designation of Realtor®. Recording: The filing of documents for real property with the County Recorder’s office that becomes public record. Subdivision: A tract of land surveyed and divided into lots for purposes of sale. Tenancy in Common: An undivided ownership in real estate by two or more persons, without right of survivorship – interests need not be equal. Trust Account: An account separate and apart and physically segregated from the broker’s own, in which the broker is required by law to deposit all funds collected for clients. Trustee: The neutral third party in the deed of trust with limited powers. When the loan is paid in full, the property is reconveyed by the trustee back to the person or persons legally entitled to the land, or if delinquent, the property will be conveyed pursuant to non judicial ­foreclosure proceedings, to the highest bidder in a public sale. Trustor: The borrower, owner and guarantor of the property conveyed in a deed of trust. Principal, Interest, Taxes and Insurance (PITI): Also called monthly housing expense. This is the combined Principal, Interest, Taxes and Insurance for a total payment. Veterans Administration Loan (VA Loan): Housing loan to veterans by banks, savings and loans, or other lenders that are guaranteed by the Veterans Administration, enabling veterans to buy a residence with little or no down payment. Private Mortgage Insurance (PMI): In the event that a buyer does not have a 20% down payment, lenders will allow a smaller down payment—as low as 3% in some cases. With the smaller down payment loans, however, borrowers are usually required to carry private mortgage insurance. Private mortgage insurance will usually require an initial premium payment and may require an additional monthly fee, depending on the loan’s structure. Warranty: In a broad sense, an agreement or undertaking by a seller to be responsible for present or future losses of the purchaser occasioned by deficiency or defect in the quality, condition or quantity of the thing sold. In a stricter sense, the provision or provisions in a deed, lease or other instrument conveying or transferring an estate or interest in real estate under which the seller becomes liable to the purchaser for defect in or encumbrances on the title. Purchase Agreement: The contract between the Buyer and Seller for the purchase of a designated property. Your Transaction Details: Subject Property Address: ______________________________________________________________________________________________ ______________________________________________________________________________________________ Escrow Number:_____________________________________________________________________________ Loan Number: ______________________________________________________________________________ Estimated Closing Date: ___________________________________________________________________ Inspection Date: ___________________________________________________________________________ Inspection Date: ___________________________________________________________________________ IMPORTANT REMINDER: ALWAYS CALL BEFORE YOU WIRE. Wire fraud is on the rise. Fidelity National Title urges our clients to ALWAYS CALL BEFORE YOU WIRE and never rely upon e-mail communication. Always follow these two simple steps: STEP 1: Obtain the phone number of your real estate broker, REALTORÂ® and your Fidelity National Title escrow officer as soon as an escrow is opened. STEP 2: Call the phone number you wrote down from STEP 1 above to peak directly with your Fidelity National Title escrow officer to confirm wire instructions PRIOR to wiring. If you receive alternative wiring instructions appearing to be from Fidelity National Title, be suspicious as we rarely change our wiring instructions. The Title Insurance “Value Proposition” 10 Reasons Why Title Insurance is Important and Worth the Money A “Value Proposition” is the unique value a product or service provides to a customer. It describes the benefits the product delivers. In this instance, the value proposition will answer the question: Why is this worth the money? 1. Title insurance protects the interests of property owners and lenders against legitimate or false title claims by owners or lien holders. It insures the title to the investment, unlocking its potential as a financial asset for the owner. 2. At Fidelity National Title we access, assemble, analyze, and distribute title information, in addition to handling escrow and closing. 3. Potential title problems are discovered in more than one-third of residential real estate transactions. These “defects” must be resolved prior to closing. The most common problems are existing liens, unpaid mortgages, and recording errors of names, addresses or legal descriptions. 4. A homeowner’s title insurance policy protects the owner for as long as he or she has an interest in the property and the premium is paid only once at closing. 5. Title insurance is different from other forms of insurance because it insures against events that occurred before the policy is issued, as opposed to insuring against events in the future, as health, property or life insurance do. Title insurance is loss prevention insurance. 6. Fidelity National Title performs a thorough search of existing records to identify all possible defects in order to resolve them prior to issuing a policy. We perform intensive and extensive work up-front to minimize claims. The better we do this, the lower our rate of claims and the more secure your level of protection. 7. Researching titles is extremely labor-intensive since only a small percentage of public records are computerized. The industry invests a substantial amount of time and expense to collect and evaluate title records. As a result, the industry experiences relatively fewer claims compared to other lines of insurance. 8. Fidelity National Title’s impressive claim reserves gives you unquestionable security and peace of mind knowing that your policy is backed by a leader in the title insurance industry. 9. Dollar for dollar, title insurance is the best investment you can make to protect your interest in one of the most valuable assets you own: your home. 10. To get the best value, choose Fidelity National Title for all your Title and Escrow needs. Write us in on your next transaction and you’ll see why we are trusted everywhere, every day. All About Title Insurance And Frequently Asked Questions What is Title Insurance? The purchase of a home is the largest investment most people will make in a lifetime; therefore, the importance of fully protecting such an investment cannot be overstressed. Title insurance is protection which assures that the rights and interests to the property are as expected, that the transfer of ownership is smoothly completed and that the new owner receives protection from future claims against the property. It is the most effective, most accepted and least expensive way to protect property ownership rights. Because land endures over generations, many people may develop rights and claims to a particular property. The current owner’s rights—which often involve family and heirs—may be obscure. There may be other parties (such as government agencies, public utilities, lenders or private contractors) who also have “rights” to the property. These interests limit the “title” of any buyer. If title insurance companies work to eliminate risks and prevent losses caused by defects in the title before the closing, why do you need a title insurance policy? The title to the property could be seriously threatened or lost completely by hazards which are considered hidden risks—“those matters, rights or claims that are not shown by the public records and, therefore, are not discoverable by a search and examination of the those public records.” Matters such as forgery, incompetency or incapacity of the parties, fraudulent impersonation, and unknown errors in the records are examples of “hidden risks” which could provide a basis for a claim after the property has been purchased. Title insurance isn’t just for a homeowner. Subdividers need it when planning a new tract of homes or a commercial strip center. Attorneys use it for clients who are investing in shopping centers, hotels, office buildings and countless other projects. Builders need it in order to obtain construction loans from their lender. Everyone wants to have peace of mind when investing their hard-earned money. The title insurance company will help protect these important investments, no matter how large or small, with its own reputation and financial strength. Title Insurance Frequently Asked Questions, continued. insures that the title to the property is marketable in the event of foreclosure and the guarantee is backed by the integrity and solvency of the title company. Of course, this benefits everyone - from the single family homeowner to the owner of a high-rise building. Before issuing a policy of title insurance, the title company must review the numerous public records concerning the property being sold or financed. The purpose of this title search is to identify and attempt to clear potential problems before the new owner takes title or the lender loans money. Our research helps us to determine if there are any rights or claims that may have an impact upon the title such as unpaid taxes, unsatisfied mortgages, judgments, tax liens against the current or past owners, easements, restrictions and court actions. These recorded defects, liens, and encumbrances are reported in a “preliminary report” to applicable parties. Once reported, these matters can be accepted, resolved or extinguished prior to the closing of the transaction. In addition, you are protected against any recorded defects, liens or encumbrances upon the title that are unreported to you and which are within the coverage of the particular policy issued in the transaction. Protection against flaws and other claims is provided by the title insurance policy which is issued after your transaction is complete. Two types of policies are routinely issued at this time: An “owner’s policy” which covers the home buyer for the full amount paid for the property; and a “lender’s policy” which covers the lending institution over the life of the loan. When purchased at the same time, a substantial discount is given in the combined cost of the two policies. Unlike other forms of insurance, the title insurance policy requires only one moderate premium for a policy to protect you or your heirs for as long as you own the property. There are no renewal premiums or expiration date. How is Title Insurance Different Than Other Types of Insurance? With other types of casualty insurance such as auto, home, health, and life, a person thinks of insurance in terms of future loss due to the occurrence of some future event. For instance, a party obtains automobile insurance in order to pay for future loss occasioned by a future “fender bender” or theft of the car. Title insurance is a unique form of insurance which provides coverage for future claims or losses due to title defects which are created by some past event (i.e. events prior to the acquisition of the property). Another difference is that most other types of insurance charge ongoing fees (premiums) for continued coverage. With title insurance, the original premium is the only cost as long as the owner or heirs own the property. There are no annual payments to keep the Owner’s Title Insurance Policy in force. While some people balk at another “closing fee”, title insurance is reasonable considering the factor that the policy could last a lifetime. How Does a Title Insurance Policy Protect Against Claims? If a claim is made against the owner or lender, the title insurance company protects the insured by: 1. Defending the title, in court if necessary, at no cost to owner/lender, and 2. Bearing the cost of settling the case, if it proves valid, in order to protect your title and maintain possession of the property. Each policy is a contract of “indemnity.” It agrees to assume the responsibility for legal defense of title for any defect covered under the policy’s terms and to reimburse for actual financial losses up to the policy limits. Subject to deductible and maximum liability, which is less than the policy amount. There are 3 types of title policies that are issued in California to insure ownership of your home. The information provided in the chart will help you understand the coverage variations. Please discuss your selection with your title representative. The Preliminary Report The Preliminary Report is an offer to issue a policy of title insurance covering a particular estate or interest in land subject to stated exceptions. Since these exceptions may point to potential problems with your intended purchase, it is important for all parties to review the report once it is received. A Preliminary Report provides a list of the matters which will be shown as exceptions to coverage in a designated policy or policies of title insurance, if issued currently, covering a particular estate or interest in land. It is designed to provide an interim, or “preliminary” response to an application for title insurance and is intended to facilitate the issuance of the designated policy or policies. It is normally prepared after application (order) for such policy(ies) of title insurance on behalf of the principals to a real property transaction, for the purpose of facilitating requirements relative to closing and policy issuance in form and content approved by those parties. If a title policy is not contemplated, a Preliminary Report should not be ordered. Instead, consideration should be given to requesting a Condition of Title Report or other similar title product. The Preliminary Report states that it is made solely to facilitate the subsequent issuance of a title insurance policy and that the insurer assumes no liability for errors in the report. Accordingly, any claim arising from a defect in title must be made under the title policy and not the Preliminary Report. After a title order has been placed, matters relative to the title policy coverage on the subject property are assembled in a title search package and examined by skilled technicians. This is when the Preliminary Report is prepared and sent to the client. The report contains relevant information so that the parties to the transaction will become aware of matters which will not be insured against by the title company. This report is issued before the title policy, hence the name Preliminary Report. The matters shown in the report are as follows: •	The estate of interest covered •	The owner of the estate or interest •	The parcel of land involved •	The exceptions, liens, encumbrances and other risks which will not be insured against if a title policy is issued. •	Other requirements and provisions which are reflected as “Notes” in the Preliminary Report which are removed if and when a title policy is issued. Statement of Information What is it & why would you need to fill one out? Sometimes, if it cannot be clearly determined from information contained on the lien document whether a matching name is only a similar name and not actually you, we may ask for additional information to help us clarify. Do you have questions? We are here to help. As part of the process to sell, purchase or refinance a property, you may be requested to complete a Statement of Information to assist your team at Fidelity National Title in the process of researching and clearing the title to the property. A Statement of Information requests information about you and, if applicable, your spouse or partner such as past addresses, employment and other identifying information to assist us in that process. Since there are so many similar names, a Statement of Information is very helpful and will speed up the title clearing process and improve the accuracy of the results that must considered before the Title Policy is issued. The information provided can, in some cases, even help us detect fraud or forgery affecting the property. Therefore, it is important to completely fill out the form and have you (and your spouse or partner, if applicable) sign it. Fidelity National Title complies with the Privacy Act and will safeguard your personal information and only use it to assist in clearing your title. We do not contact any Credit Reporting Agencies as part of the process nor do we provide or sell the information you give us to any outside companies or agencies. Under California Recording law, liens recorded in the General Index of a County in the name of individuals or companies attach to property owned in that County by those individuals or companies. Some examples of the types of liens found in the General Index are bankruptcies, judgments, child support and tax liens. As part of the process of clearing the title to issue a Title Policy, a review of the General Index is completed by the Title Department prior to the close of your escrow. Common Ways of Holding Title (Vesting) Descriptions are provided for general reference purposes only. Please consult your attorney for detailed information about the best option for your specific needs. The beneficial interest in the trust is a personal property interest. The trustors who create the trust may divide the beneficial interest into any number of interests. Escrow FAQs What is an Escrow? Buyers and sellers of a piece of property establish terms and conditions for the transfer of ownership of the property. These terms and conditions are given to a third party known as the escrow holder. In turn, the escrow holder has the responsibility of seeing that terms of the escrow are carried out. The escrow is an independent neutral account and the vehicle by which the mutual instructions of all parties to the transaction are complied with. Why is Escrow Needed? Whether you are the buyer or the seller, you want assurance that no funds or property will change hands until all instructions have been followed. With the increasing complexity of transactions, it takes a trained professional to help navigate a successful closing. How Long is an Escrow? The length of an escrow is determined by the terms of the purchase agreement/joint escrow instructions and can range from a few days to several months. Who Chooses the Escrow? The selection of the escrow holder is normally done by agreement between the principals. If a real estate agent is involved, they may recommend an escrow holder. Why Choose Fidelity National Title? Fidelity National Title Escrow has experienced and knowledgeable Escrow Officers waiting to assist you. We can handle your Residential and Commercial Purchases and/or Refinance Escrows, from the unique to the complex. Fidelity National Title has offices locally and nationwide to accommodate the most demanding Buyers, Sellers and Borrowers. Call us today to close your next transaction. About The Escrow Process How Does The Escrow Process Work? 99 When calling the escrow officer, have the escrow number and buyer/seller’s names handy. 99 Keep the escrow officer informed on any matters that may affect the transaction. 99 Direct your questions to the proper representative, such as: -Real Estate Agent: Physical aspects of property, conflicts, and terms of sale. -Lender: Loan terms, credit report issues, etc. -Escrow Officer: Escrow instructions, documents and forms to be filled out. The Life of an Escrow ORDER IS OPENED. PREPARE ESCROW INSTRUCTIONS, NECESSARY DOCUMENTS AND COMMISSION ORDER. FORWARD TO APPROPRIATE PARTIES FOR REVIEW AND EXECUTION, NOTE: THIS IS DONE EITHER AT OPENING OR AT CLOSING DEPENDING ON THE CUSTOM OF THE COUNTY WHEREIN YOU ARE CLOSING. In general, the first item to enter the escrow is the buyer’s initial deposit. The escrow file will grow, item by item, until all of the conditions have been met and the escrow is ready to close. There are several acceptable forms of identification which may be used during the escrow process including: • A current driver’s license • Passport • State of California Department of Motor Vehicles ID card One of these forms of identification must be presented at the signing of escrow in order for the signature to be notarized. Before recording ownership for your new property, you will need to decide how you would like to hold title. You may wish to consult a lawyer, accountant, or other qualified professional before making this decision. In order to prevent possible delays in the closing of your escrow, be prepared to provide a Cashier’s or Certified check cleared through the CA Federal Reserve for the amount requested by your escrow officer. Wire instructions will be provided should you prefer to wire transfer funds into escrow. Check in with your loan officer to ensure that you have satisfied your lender’s requirements before coming to the Fidelity National Title office to sign papers. When you are buying a single-family, detached home, and in some cases, a townhouse, be sure to order your hazard insurance policy before the loan has been approved. You will then need to contact your escrow officer to provide the insurance agent’s name and contact information so that they can make sure the policy complies with your lender’s requirements. You must have the insurance policy in place before the lender sends money to the title company for closing. If you do not have an insurance agent, your real estate agent may be able to refer someone for you. YOURS or THEIRS? The Personal vs. Real Property Dilemma The distinction between personal property and real property can be the source of difficulties in a real estate transaction. A purchase contract is normally written to include all real property, that is, all aspects of the property that are fastened down or an integral part of the structure. For example, this would include light fixtures, drapery rods, attached mirrors, trees and shrubs in the ground. It would not include potted plants, free-standing refrigerators, washer/dryers, microwaves, bookcases, swag lamps, etc. If there is any uncertainty whether an item is included in the sale or not, it is best to be sure that the particular item is mentioned in the purchase agreement as being included or excluded. *This list is an example only of typical closing costs in California and may vary based on negotiations or customary area practice. hile your selected Loan Officer will always be your best resource for information about your loan and the process of closing your loan, there are many elements that will be managed and coordinated within your escrow. In this section, we offer a general overview of the loan process as it relates to your escrow and some of the terms and concepts that may arise during your transaction. About The Loan Process Step 1: Application Your loan process should go smoothly if you complete your loan application properly and provide all necessary documentation to your loan consultant at the time of application. Step 2: Ordering Documentation Your loan consultant will order the necessary documentation for the loan as soon as it is received. Any verifications will be mailed, and the credit report and appraisal will be ordered. You will also receive a Good Faith Estimate of your costs and details of your loan. Step 3: Awaiting Documentation Within approximately two weeks, all necessary documents should be received from your loan consultant. Each item is reviewed carefully in case additional items may be needed from you to resolve any questions or problems. Step 4: Loan Submission Submitting your loan is a critical part of the process. All of the necessary documentation will be sent to the lender, along with your credit report and appraisal. Step 5: Loan Approval Loan approval may be obtained in stages. Usually within one to three days, your loan consultant should have pre-approval from the lender. If the loan requires mortgage insurance, or if an investor needs to review the file, final approval could take additional time. You do not have final loan approval until ALL of the necessary parties have underwritten the loan. Step 6: Lender Preparation of Documents As soon as the loan is approved and all requirements of the lender have been met, the loan documents will be prepared. These documents will be sent to the escrow officer, and you will be asked to sign the documents. Your lender may require an impound account for tax installment payments, depending on the type of loan. Step 8: Recordation When the loan has been funded, the title company will record the Deed of Trust with the county in which the property is located (usually by the next day). Upon receipt of confirmation of the deed being recorded, title or escrow will then disburse monies to the appropriate parties. At this time, in most cases, your loan is considered complete. LOAN FAQs When do I sign loan documents? Generally, your escrow instructions will be mailed to you for completion and signature. Your escrow officer or real estate agent will contact you to make an appointment for you to sign your final loan papers. At this time, the escrow holder will also tell you the amount of money you will need (in addition to your loan funds) to purchase your new home. The lender will send your loan funds directly to the title company. What do I bring to my loan document signing appointments? Obtain a cashier’s check made payable to your escrow company or title company in the amount indicated to you by the escrow officer. You may also wire funds. A personal check will delay closing because the check must clear before funds are disbursed. Please bring one of the following with you to your signing: •	Valid state ID card •	Diver’s license •	Passport (These items are needed by a Notary Public to verify your identity. It is a routine but necessary step for your protection). Make sure you are aware of your lender’s requirements and that you have satisfied those requirements before you come to the escrow company to sign your papers. Your loan officer or real estate agent can assist you. What’s the next step after I’ve signed the loan documents? After you have signed all the necessary instructions and documents, the escrow holder will return them to the lender for final review. This review usually occurs within a few days. After the review is completed, the lender is ready to fund your loan and informs the escrow holder. When will I receive the deed? The original deed to your home will be mailed directly to you at your new home by the County Recorder’s office. This service takes several weeks (sometimes longer, depending on the County Recorder’s work volume). A loan payoff is an extremely important service provided by title companies to facilitate the handling of money in the closing of a real estate transaction. It is the receipt of funds from the buyer and the payment of the obligations of the seller (if any) in conjunction with a real estate transaction. The payoff function is performed by Fidelity National Title as part of the escrow process. Commonly Used Payoff Terms: Prefigures: Estimated payoff figures calculated and given prior to closing upon request. These figures are only valid through the date given and are based on the information provided at the time. Good Funds: Fidelity National Title must be in receipt of “good funds” prior to disbursing on a payoff. Types of good funds include: a) funds wired into Fidelity National Title; b) a cashier’s, teller’s or certified check (provide next day availability after deposit to comply with AB51 2); c) other local checks (provide availability of funds two days after deposit), and d) out of area checks (provide availability of funds five days after deposit). Demands: Demands must include specific payoff information concerning the particular property and must be signed. It is the responsibility of the Escrow Officer to order and provide all necessary demands, including any updates or changes on a timely basis. Taxes: Outstanding property taxes can be paid out of the payoff proceeds. Refunds: Any overpayment of demands will be refunded to the escrow upon receipt from the lender. Refunds typically take two to six weeks to process. Shortages: Your Escrow Officer will contact you if there is a shortage of the necessary funds to cover the outstanding obligations. The shortages must be received prior to payoff. Disbursement Checks: Checks are delivered locally to lending institutions by a contracted messenger service. Checks to individuals and to out of area lenders are typically sent via an overnight delivery company. Wire Transfers: Funds can be wired into and out of Fidelity National Title offices with our bank. Out of County Transactions: Fidelity National Title offices can receive and disburse payoff funds through any of our offices. PMI: “Private Mortgage Insurance” What Is PMI? Buying a home is easier than ever, thanks to the availability of private mortgage insurance, or PMI. Private mortgage insurance has made it possible for qualifying buyers to obtain mortgages with a down payment as low as 3%. Such mortgages are increasingly in demand in today’s home market because potential homeowners, especially first time home buyers, are unable to accumulate the 20 or 30% down payment that would be required without private mortgage insurance. Definition PMI PMI is a type of insurance required by the lender that helps protect lenders against losses due to foreclosure. This protection is provided by private mortgage insurance companies and enables lenders to accept lower down payments than would normally be allowed. When Do I Need to Carry PMI? If you make a down payment of less than 20% of the home sales price, your lender will require you to carry PMI. This will protect the lender from a potential loss if you default on your low down payment loan. How Long Am I Required to Carry PMI? PMI can usually be canceled by the home buyer when they have at least 20% equity in the home, either due to payment of the principal or the appreciation of the property. When you believe your home has achieved 20% equity, you can contact your loan server for guidelines. Usually lenders will require an appraisal on the property to verify the equity. How Much Is PMI Going to Cost Me? The House Banking Committee has estimated that the average cost of mortgage insurance is between $300 and $900 a year. Premiums are based on the amount and terms of the mortgage and will vary according to loan to value ratio, type of loan and the amount of coverage required by the lender. What Are the Payment Options for PMI? PMI can be paid on either an annual, monthly or single premium plan. A home inspection is another component of the escrow process. It is a physical examination to identify material defects in the systems, structure and components of a building, such as foundations, basements and under-floor areas, exteriors, roof coverings, attic areas and roof framing, plumbing, electrical systems, heating and cooling systems, fireplaces and chimneys, and building exteriors. Is Your Home Inspector Insured? In addition to the buyer, seller, lender and real estate agent(s), Escrow may involve several other parties. For example: Appraisal, Home Warranty, Home Inspection, Termite/Pest Inspection and Disclosure Report. •	Research the subject property as to year built bedrooms, baths, lot size and square footage. •	Compare data of recent sales in the subject’s neighborhood, typically within a one mile radius. The appraiser usually locates at least three (and preferably more) similar homes that have sold within the past six months. These homes are considered the Comparable Properties” or “Comps” for short. •	Field inspection is conducted in two parts: (1) the inspection of the subject property, and (2) the exterior inspection of the comparable properties. The subject property inspection includes taking photos of the front and rear of the home (that may include portions of the yard) and photos of the street scene. The appraiser also makes an interior inspection for features and conditions which may detract from or add to the value of the home. A floor plan of the home is drawn and included while doing the inspection. They should have: Professional Liability Insurance Coverage, General Liability and Workers Compensation. How the Seller Should Prepare for a Home Inspection? The seller should have the property fully accessible, including elimination of stored objects that may prevent the inspector from accessing key components of the home. Areas of special concern are attics, crawl spaces, electric panels, closets, garages, gates/yards, furnaces and water heaters. All utilities should be on with functioning pilots lit. Inspector’s Responsibility to the Homeowner Respect the property. Leave the property as they found it. Answer questions about the report after the inspection is completed. Provide a copy of the report on site. Termite/Pest Inspection This report is prepared by a State Certified Inspector as evidence of the existence or absence of wood destroying organisms or pests which were visible and accessible on the date the inspection was made. In almost every instance when they receive a request for an inspection the caller refers to it as a “termite” inspection. In addition to looking for subterranean termites, the inspector is also looking for signs of activity from other wood organisms such as carpenter ants, carpenter bees, wood destroying fungus, or dry wood termites. These conditions are easy to spot and in most cases are simple and inexpensive to correct. If you aren’t certain about the condition of your property, seek assistance from a State Certified Termite Inspector. Disclosure Report What is a Disclosure Report? Disclosure reports are designed to assist sellers (and their agents) disclose legally required information to a potential purchaser in a real estate transaction in an easy to understand, economical format. Buyers can rely on the information to make a more informed decision regarding the property being purchased. It’s the Law! California law requires sellers to disclose certain types of naturally occurring hazards to potential buyers. Assembly Bills 6x, 1195 and 248 created a mandatory form for these disclosures. This form is the Natural Hazard Disclosure Statement. Required Disclosure Information There are six ‘hazard zones’. The disclosure law requires all potential buyers to be told whether the property is in one, or more, of the following zones: •	A Special Flood Hazard Zone as designated by the Federal Emergency Management Agency (FEMA). •	A Dam Failure Inundation Zone •	A Very High Fire Hazard Severity Zone •	A Wildland Area That May Contain Substantial Forest Fire Risks •	An Earthquake Fault Zone •	A Seismic Hazard Zone California Civil Code Section 1103.4 provides a liability shield for sellers who rely on third party experts. This section states that the seller is not liable for errors, inaccuracies or omissions of any of the information provided by the third party disclosure report unless the seller has personal knowledge of the error. Where to Order a Disclosure Report FNF’s own Disclosure Source is a premier provider for Natural Hazards, Special Taxes & Assessments and Environmental Hazard information to safely comply with statutory requirements. California Real Estate Law gives buyers three days to cancel a transaction whenever material information is disclosed to them. It is in your best interest, as the seller, to get all disclosures in the hands of the potential buyer as soon as possible. We recommend ordering the Disclosure Report as soon as the property is listed. Buyers will then be able to review and accept the disclosures as part of their offer. Your agent can advise you on these issues. For more information, please call (800) 880-9123 or visit www.DisclosureSource.com. here are many types of tax issues which should be considered during a real estate transaction. Fidelity National Title provides the following information as a resource only and we always recommend that a seller or buyer consult with their legal and tax professionals for advice. The escrow officer, as the settlement agent, will ask the seller to complete a Certificate for Information Reporting for the 1099 S form which may be required by the IRS. The seller is required to provide their correct taxpayer identification number (social security number), as well as the closing date of the transaction and gross proceeds of the transaction. Most settlement agents now transmit the reportable information electronically to the IRS at the end of the year, although a “hard copy” of the form is included in the seller’s closing documents. The Internal Revenue Service (IRS) requires that sellers report certain information pertaining to sales of real property. 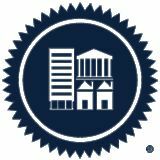 Under the Tax Reform Act of 1986, reportable transactions include sales and exchanges of properties including, but not limited to, houses, townhouses and condominiums. Also reportable is stock in cooperative housing corporations and mobile homes without wheels. Specifically excluded from reporting are foreclosures and abandonment of real property, as well as financing or refinancing of properties. • Property ownership by tax exempt entities The escrow holder will provide a state withholding form to the seller to help determine if any of the exemptions apply. The withholding guidelines can seem quite complex, but your escrow officer has forms and educational materials to help your clients. Further information is also available through your local Franchise Tax Board or from the American Land Title Association (ALTA). •	Payment and Form 593 and 593 B to FTB by 20th day of month after closing. •	Interest due on all late payments (FTB calculates, and interest can be substantial). •	Escrow can charge a fee for processing withholding or waiver. •	Escrow cannot charge for giving written notice to parties or obtaining 593 C and 593 W Certifications. CAL Withholding Exemptions for NON INDIVIDUALS ONLY •	Corporation •	Partnership •	Limited Liability Company (LLC) with certain require-	ments. When property changes hands, local government agencies require notice of change of ownership. At the local level, this would be any county office that assesses or collects taxes. Reporting a change in the ownership of the property allows the local jurisdiction to assess the tax liability for each property as the title is transferred from seller to buyer. The reporting documents vary from state to state, but all states require at minimum the names of the seller and buyer, assessor’s parcel number or other property identifying number, the property location and tax address. Also required is the total purchase price, terms of sale and signature of the new owner. The reporting document is recorded along with documents evidencing a change in ownership. In California, the document is called a Preliminary Change of Ownership (PCOR), and it assists the local agency in identifying situations in which a property reassessment is allowed under Proposition 13. Penalties or fines may be assessed from the governing body for failure to file the document as required by state or local laws. The escrow officer will generally assist the client in completing the document and ensuring that it reaches the Recorder’s Office along with the other documents pertinent to the change of ownership. See tax calendar example next page. Homeowners pay property taxes to their appropriate assessment, collection or franchise tax department in each county. A change in ownership or the completion of new construction could result in a change in the assessed value of the property and may result in the issuance of a supplemental property tax bill. Taxes are due on predesignated dates and become delinquent when not paid. Penalties are assessed for delinquent taxes. The yearly “tax calendar” varies by state. In addition to standard property taxes, many jurisdictions also contain special assessment districts, which may have been formed as a means of financing infrastructure. Bonds may have been sold to finance the infrastructure and the ultimate property owner continues to make payments on the principal and interest on the bond. The bond issues vary in size and term. Other special city and county districts may be assessed for a variety of purposes, including street lights and traffic signals, street maintenance, certain educational purposes, etc. Some situations which appear to be a change of ownership are exempt from the filing of this type of document, including corrections to the record and status changes such as a change in vesting. Transfer Taxes Transfer Tax, often called Real Property Transfer Tax, is a tax collected by the County Recorder when an interest in real property is conveyed. It is paid at the time of recording, and is computed using the actual sales price. An amount, legislated by the state or county, is charged per $500 or $ 1,000 of the sales price. Although it is common for the seller to pay this tax, in some areas tradition dictates that the buyer and seller will split the payment. Many cities have levied an additional tax within their jurisdictions. In some counties, these taxes are collected by the County Recorder along with county transfer tax, but in other areas a separate check will be mailed to the city. Your escrow officer is familiar with the taxes required and will coordinate payment of the appropriate amount. Taxes become a lien at 12:01 a.m. Not yet due and payable for the Fiscal Tax Year starting July 1. Thereafter title evidence must show taxes as a lien for the coming Fiscal Tax Year. APRIL 15 Last day to file for 100% Veterans or Homeowner’s Exemption. To be eligible for applicable exemptions you must own and occupy property on March 1. DECEMBER 1 Last day to file for 80% Veterans or homeowner’s exemption DECEMBER 10 1st Installment becomes delinquent at 5 p.m.
10% penalty added to taxes due. If December 10 falls on a weekend or holiday, taxes are not delinquent until 5 p.m. the next business day. APRIL 10 2nd Installment becomes delinquent at 5 p.m.
10% penalty plus administrative charge attaches. If April 10 falls on a weekend or holiday, taxes are not delinquent until 5 p.m. the next business day. If you fail to pay either or both installments by 5 p.m., property tax becomes defaulted and additional costs and penalties accrue. If June 30 falls on a weekend or holiday, taxes must be paid by 5 p.m. of the preceding business day. Reminder - Property may be sold at public auction after 5 years of delinquency. How Property Taxes are Determined Property taxes are governed by California State law and collected by the county. The County Assessor must first assess the value of your property to determine the amount of property tax. Generally, the assessed value is the cash or market value at the time of purchase. This value increases not more than 2% per year until the property is sold or new construction is completed. The Auditor-Controller applies the appropriate tax rates, which include the general tax levy, locally voted special taxes, and any city or district direct assessments. The Tax Collector prepares property tax bills based on the Auditor-Controller’s calculations, distributes the bills, and then collects the taxes. The following is a short glossary of commonly used terms during escrow transactions. For a detailed explanation of the meaning of these terms, please consult an attorney or real estate professional. For additional terms and definitions, please visit us online at www.FNTIC.com. Adjustable Rate Mortgage (ARM): A mortgage in which the interest rate is adjusted periodically in accordance with a market indicator, to more closely coincide with the current rates. Also sometimes known as renegotiable rate mortgage, the variable rate mortgage, or the graduated rate mortgage. Amendments: A change to any part of an agreement without changing the general essence of the original. Amortization: Reduction of the principal of a debt in regular, periodic installments. Annual Percentage Rate (APR): An interest rate reflecting the cost of a mortgage as a yearly rate. This rate is likely to be higher than the stated note rate or advertised rate on the mortgage, because it takes into account point and other credit cost. The APR allows home buyers to compare different types of mortgages based on the annual cost for each loan. Assumption of Mortgage: An obligation undertaken by a new purchaser of land to be liable for payment of an existing note secured by a mortgage. Condominium: A statutory form of real estate development of separately- owned units and jointly-owned common elements in a multi-unit project. Conventional Mortgage: A mortgage securing a loan made by investors without governmental underwriting, i.e., a loan which is not FHA insured or VA guaranteed. Deed: Written instrument which, when properly executed and delivered, conveys title. Discount Point: An additional charge made by a lender at the time a loan is made. Points are measured as a percent of the loan, with each point equal to one percent. Earnest Money Deposit (EMD): A deposit of funds made by a buyer of real estate as evidence of good faith. Easement: A non-possessory right to use all or part of the land owned by another for a specific purpose. Beneficiary: The recipient of benefits most often from a deed of trust. This is usually the lender. Equity: The difference between the fair market value and current indebtedness, also referred to as the owner’s interest. The value an owner has in real estate over and above the obligation against the property. Buyer’s Agent: The agent or broker serving as a representative of the buyer in order to identify a property and negotiate on their behalf for the purchase. Federal Housing Administration Loan (FHA Loan): A loan insured by the Federal Housing Administration, open to all qualified home purchasers. Caps: Consumer safeguards that limit the amount the interest rate on an adjustable rate mortgage can change at each adjustment or over the life of the loan. Farmers Home Administration Loan (FMHA Loan): A loan insured by the federal government similar to FHA loan, but usually used for residential properties in rural areas. Conditions, Covenants & Restrictions (CC&R’s): A document that controls the use, requirements and restrictions of a property. Federal National Mortgage Association (FNMA): Also known as “Fannie Mae.” A U.S. government sponsored corporation dealing in the purchase of first mortgages for the secondary market. Certificate of Reasonable Value (CRV): An appraisal issued by the Veterans Administration showing the property’s current market value. Closing (also called “settlement”): The completion of a real estate transfer, where the title passes from seller to buyer, or a mortgage lien is given to secure debt. Comparable Sales: Also referred to as “comps”. Sales of other properties that have characteristics similar to the subject property. Generally used for the preparation of an appraisal. Fee Simple Deed: The absolute ownership of a parcel of land. The highest degree of ownership that a person can have in real estate, which gives the owner unqualified ownership and full power of disposition. Joint Tenancy: An equal undivided ownership of property by two or more persons. Upon death of any owner, the survivors take the decedent’s interest in the property.